Section 8 rental property in San Antonio is a controversial topic in some quarters. Section 8 housing came to be during the Great Depression, when the federal government wanted to provide public housing for lower income people. Today, the purpose of section 8 is to offer subsidized housing to certain lower income citizens. Your income is stable and guaranteed each month. You receive your payment each month electronically. After a person applies and passes the background check and other screening, the section 8 voucher gives them up to 100% assistance for their rent. Higher rent. You can reassess the rent you charge each year and increase it by up to 8%. So, if you rent your San Antonio investment property for $800 monthly, you could raise it to $1175 in five years. Incentive to keep up the San Antonio rental property: There is an annual inspection, so if the renter trashes the house, they can lose their voucher. Note: I do serious rehab on the San Antonio fixer upper before I rent it, and pictures are taken. So if there is a lot of wear and tear, I can show the tenant did it. Large number of possible tenants: The GoSection8.com website has thousands of prospective San Antonio renters and it is quite easy to get a house rented. Long term rent: I find that most section 8 renters rent for many years, so you will have fewer vacancies with your San Antonio rental property. Government bureaucrats: You have to deal with the red tape of the Section 8 bureaucracy and this can cause some delays. However, I find that the San Antonio Housing Authority is pretty good to work with. Slow payments: It can take longer than I like to get a renter in my San Antonio buy and hold property due to delays with the government. But, once the tenant is in, the rent comes in every 30 days on time. Inspections: Section 8 has fairly strict inspections, but I do complete rehabs and I know what Section 8 looks for, so I do not have major problems here. More repairs: The renter does not own the San Antonio property so it is possible that more wear can happen. Late payments: I have had a few tenants over the years pay late, and reporting them can take some time. Generally, I find section 8 rental property in San Antonio to be a good bet. I am able to get good renters into my investment properties by carefully screening potential renters. Description: Under market value fixer upper 4 beds 2 bath, 1078 sqft, lot size: .13 acres, yearly taxes: $1,200.00, estimated insurance: $750.00, estimated repairs: 30K; central hvac, flooring, update kitchen/bath, roof, interior/exterior finish. 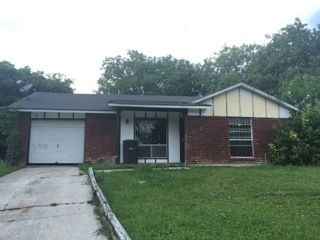 Rent with 30K in repairs: $1,095.00 with section 8, no need to chase the monthly payment, San Antonio Housing Authority pays direct deposit to your account.